There’s no need to always get all fancy with a burger. Sometimes you just need a little sauce on top. Like this one. Ooey gooey with some kick. Keep some chips on hand in case some of the cheesy goodness drips off these queso burgers. Ok, not in case. It will drip. There’s no stopping it. The cheese sauce is good on everything, from hot dogs to nachos, to mac-and-cheese. Make a double batch of it. Use half for these queso burgers.Use the other half for dipping warmed tortilla chips. Lunch is ready! If you have a smoker you’ll want to try smoking your burger patties instead of grilling them. Combine the cheese and tomatoes in a microwave safe bowl and microwave 4-5 minutes, stirring often, until melted. Alternatively, you can place the ingredients into a sauce pan over medium heat and melt the cheese, stirring often. Form beef into patties. Grill burgers as desired. Toast the buns on the grill, if desired. Serve burgers topped with plenty of the cheese sauce. 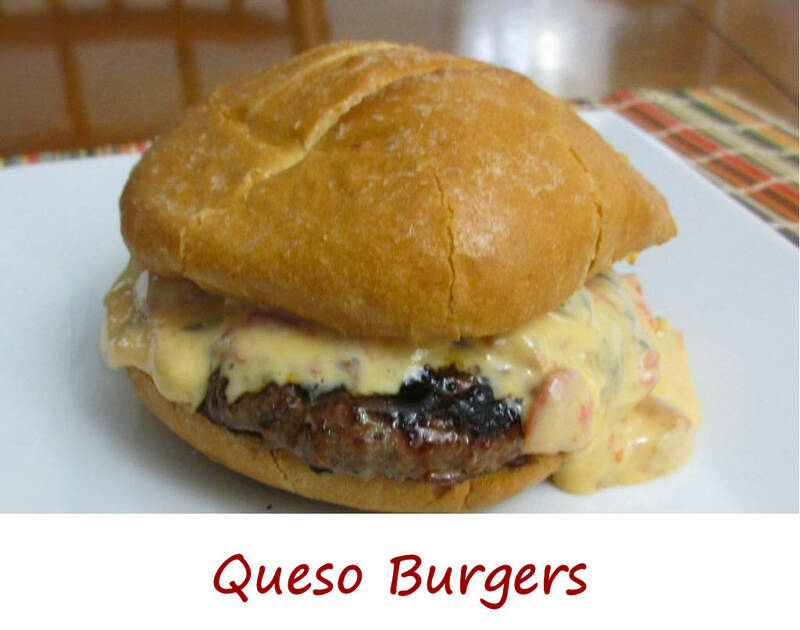 This entry was posted in From the Grill & Smoker and tagged burger, Queso Burgers, recipe, velveeta by Mike. Bookmark the permalink.